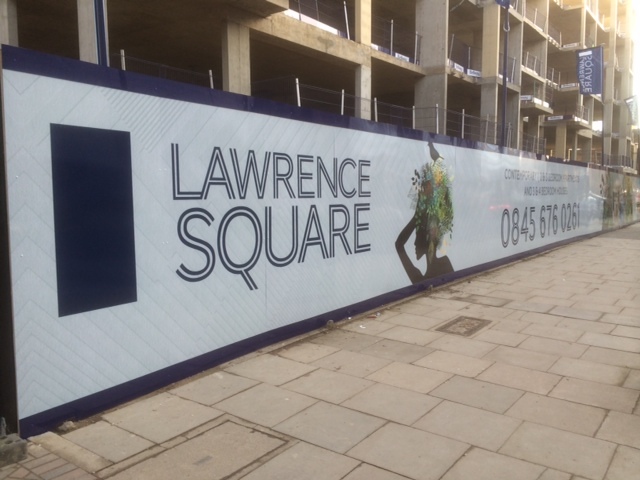 Construction hoardings can make ugly building sites look attractive. 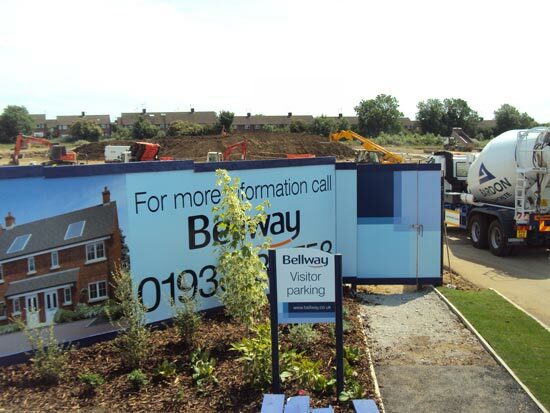 They can also be used to pre-sell the homes being built by depicting the houses and flats under construction. 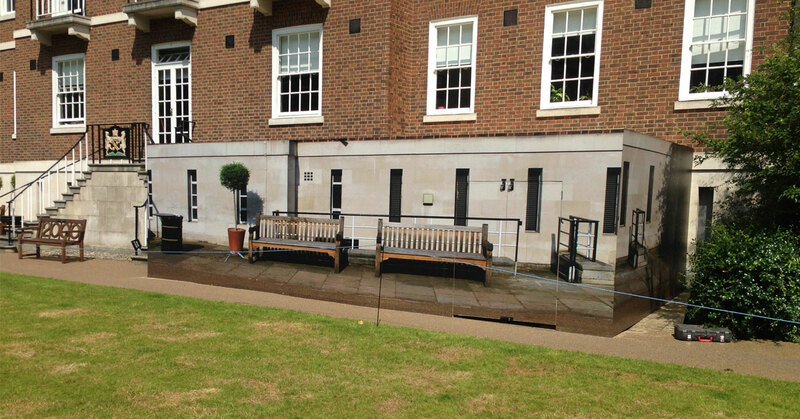 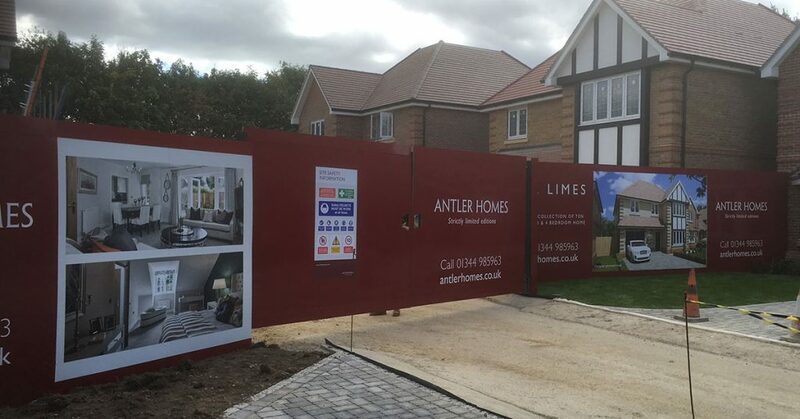 Whilst we don’t construct the actual boundary fencing, we can design and install the artwork panels as you see in the photos below. 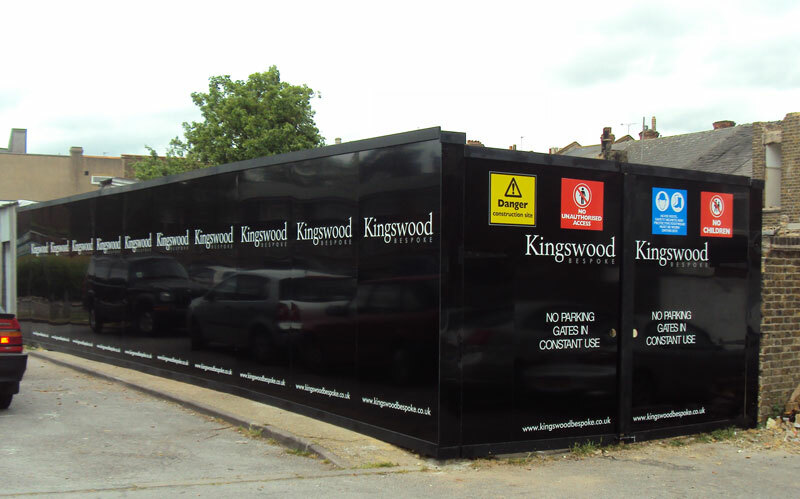 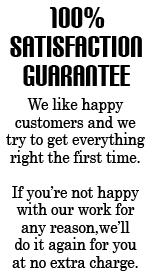 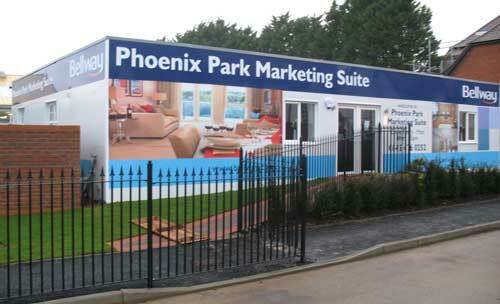 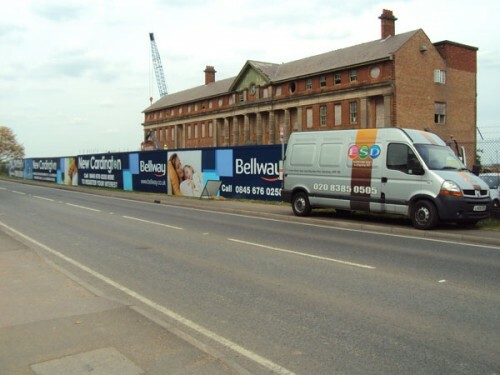 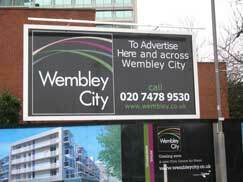 Call us on 020 8385 0505 to discuss construction hoardings for your next building project.